As a single parent it can be difficult to find the time and someone available to watch my daughter so that I can have a date night with my boyfriend. Date nights are hard enough to arrange, imagine if I tried to find a way to take a vacation! It would be impossible. Recently I came across a fun subscription box called My Staycation Box, This box brings authentic and fun pieces of travel destinations directly to you so that you never have to leave your home to gain a cultural experience. 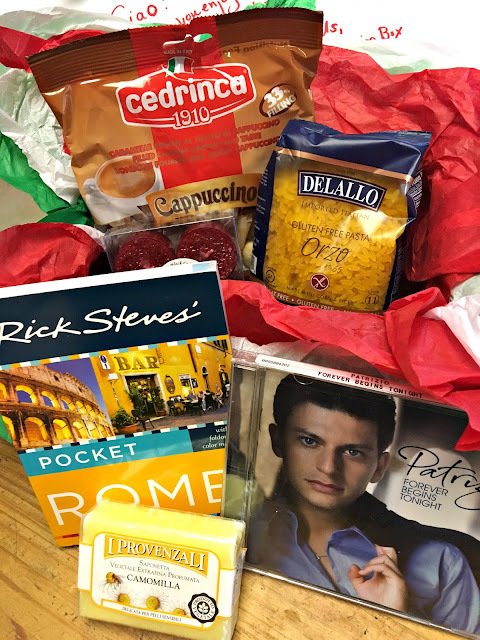 I recently got to experience My Staycation Box by having the Italy box sent to me. 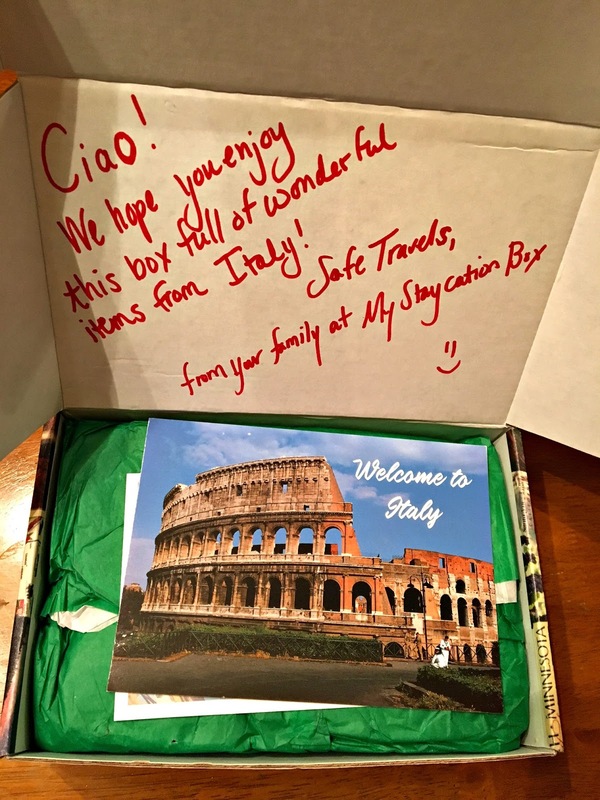 My family is very Italian but I have never quite been lucky enough to get the experience of traveling there. Imagine my surprise when little pieces of one of my top wish list destinations came directly to me. I love that as soon as you open the box it immediately gives you the feel of the destination you are experiencing in every detail from the postcard with box information, down to the tissue paper that everything is wrapped in. After tearing apart the tissue paper I was so excited to see the different items that came in this box. As soon as I saw everything I had the perfect idea, plan a date night in that not only was a night to ourselves but also felt like a little bit of a vacation. To start off I thought of a perfect recipe to use the orzo for. 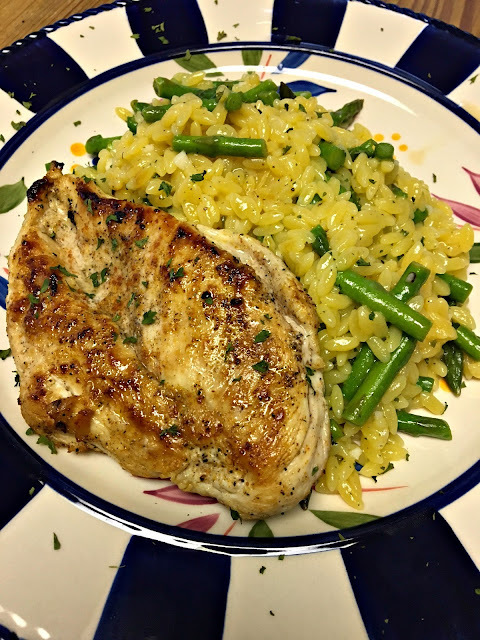 I have never used orzo before so I was so excited to use orzo that was imported from Italy for my first time. (Be sure to check out the recipe for the dish that I made below!) On the table I lit the candles which smelled like black currant (and were amazing), laid out the map that we received in the Pocket Rome travel guide, and turned on the music of Patrizio Buanne. All of these things made for the perfect evening. We didn't forget about the other items in days to come! The soap from Provenzali smelled amazing and is perfect for sensitive skin. It sits in my bathroom and I get compliments on it constantly. I also am in love with the cappuccino candies that were in this box. I have even researched where I can purchase more of them! Ever since receiving My Staycation Box my daughter has become obsessed with creating her own staycations! She researches popular places to visit in cities that she is interested in, looks for hotels, learns about the food, and even plays the music! I love that My Staycation Box has sparked this interest in her! Dressing - Place the lemon zest, juice, garlic, salt, and pepper in a bowl. Add oil and whisk until it thickens a bit. Set aside until the orzo is done cooking. Orzo: Put the water and chicken broth into a large pot and bring to a boil, add salt and continue boiling. Add the orzo and cook until tender. Once the orzo is cooked drain it, place into a large bowl and add asparagus. Pour the dressing over the orzo and mix well. Top with parsley. We absolutely loved My Staycation Box and are sure that you will too! Check out their website and social media pages! Like My Staycation Box on Facebook! Follow My Staycation Box on Instgram! Follow My Staycation Box on Twitter! This looks so neat any couple would enjoy this!